Sioux Lookout is situated on Pelican Lake, part of the English River-Lac Seul Water System. Sioux Lookout is an important service centre in the heart of the Patricia Region. You can stock up on food, bait and tackle and other supplies in town or stay overnight in a hotel/motel. There are many resorts in the area offering great fishing or hunting and many are perfect for a family vacation. If you're looking for a very secluded remote cabin, there are many outposts cabins to fly to from Sioux Lookout. You can even fly to all-inclusive American Plan fly-in resorts. Enjoy the annual Blueberry Festival held every August. Visit Ojibway Park about 25 kilometers southwest of Sioux Lookout on Highway 72. South of Sioux Lookout is the village of Hudson and beautiful Vermilion Lake, known for its clear deep water and Big Vermilion Beach, one of the nicest swimming spots in the area. 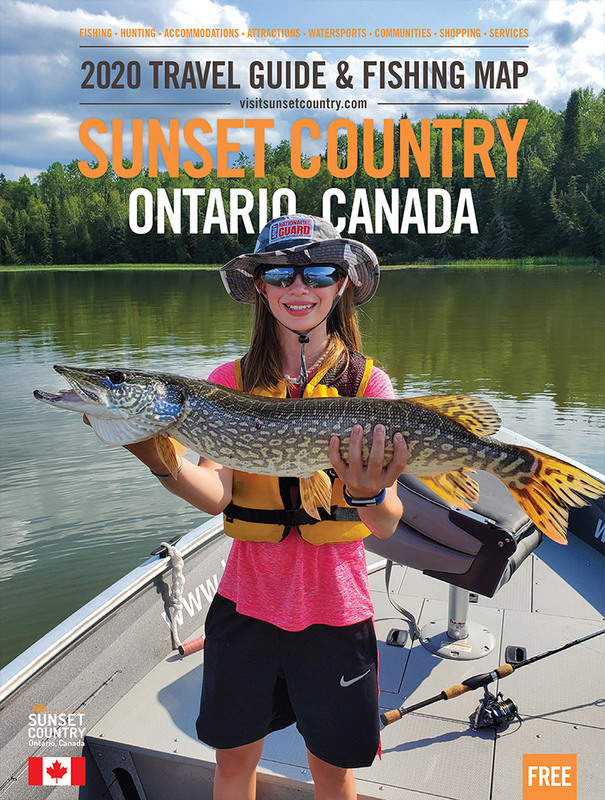 The Sioux Lookout Information Center offers outfitter brochures, fishing and hunting regulations, Ontario and Manitoba brochures, lake maps, Chamber of Commerce information, and retail items (T-shirts, sweatshirts, postcards, hats, maps, books, crafts). The Information Centre also has a beautiful picnic area overlooking the lake and walking trail. The Sioux Lookout and Hudson Association or Community Living in partnership with the Ministry of Natural Resources run Ojibway Park, located approximately 20 km from Sioux Lookout on Highway 72. Sioux Lookout has the busiest airport between Thunder Bay and Winnipeg with + 100,000 passengers per year. Open 24/7 with IFR, refueling. Sioux Lookout is easy to find! Drive up Highway 72 approximately 65 kilometers north of the Trans-Canada Highway. For more information, you can call the Sioux Lookout Chamber of Commerce at 807-737-1937 or the Town of Sioux Lookout at 807-737-2700. Ghost River Lodges are remote boat-in fishing lodges located in Northwestern Ontario. Experience the beautiful Canadian wilderness along with excellent fishing and hunting. Fish a different lake each day! Click here for more info on our fish/hunt packages!